Dionne Warwick made her singing debut in church at the request of her grandfather, the Reverend Elzae Warrick, when she was six years old. No one knew then that she would become an international music legend, but what she knew—as words of wisdom passed down from her grandfather—was that "if you can think it, you can do it." And she did it. Dionne released the first of more than fifty-six charted hits in 1962 with "Don’t Make Me Over," followed by "Anyone Who Had a Heart," "Walk On By," "I Say a Little Prayer," "Alfie," and "A House Is Not a Home," to name a few. She received her first Grammy in 1968 for "Do You Know the Way to San Jose" and later recorded the classic hit "That’s What Friends Are For." She was considered the voice of Burt Bacharach/Hal David compositions, and the rest is here, in her first autobiography. 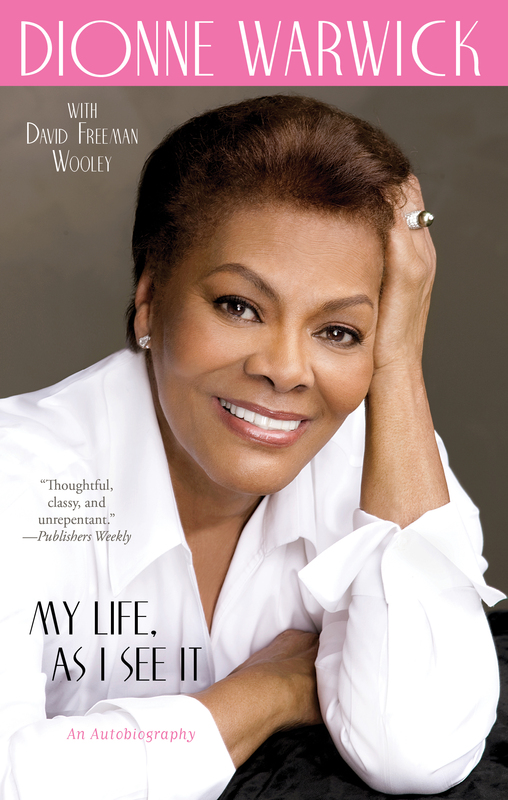 Dionne tells the stories of her life from her childhood in East Orange, New Jersey, in a two-family home with her parents, brother, and sister, to now, as she celebrates her fiftieth year in show business. She came by her musical gifts honestly. Her mother, Lee Drinkard Warrick, was a founding member of the legendary Drinkard Jubilairs, which included her mother’s siblings Cissy, Marie, Annie, Nick, and Larry. Cissy went on to become a celebrated recording artist in her own right; she lived in the Warrick household, got married, and later gave birth to one of the most popular singers of our time, Whitney Houston. Dionne went on to start her own gospel group with her sister, Dee Dee, called the Gospelaires. Her father, once a Pullman porter, became an accountant, went on to promote gospel records for Hob Records, and wrote a book on gospel music. She attributes her strong family, who are faithful and industrious Christians, for keeping her grounded and giving her the fortitude, as well as the talent, to earn her place among world-class performing artists without losing herself or her soul. Their encouragement seemed to wash over me, and I began to feel more confident. I closed my eyes again and really started to let loose. Even I was amazed at what was coming out of my little mouth and the notes I was able to hit. The moment was truly magical. When I finished, I opened my eyes and was amazed to see the entire congregation on their feet. I had received my first standing ovation. I DID IT then—and after fifty years in show business, I’m still doing it now. I was born Marie Dionne Warrick on December 12, 1940, and raised in East Orange, New Jersey, where my mommy, Lee Drinkard Warrick, my daddy, Mancel L. Warrick, my sister, Delia “Dee Dee” Warrick, and my brother, Mancel “Pookie” Warrick Jr., lived comfortably in a two-family home that we owned. I was named Marie after my mother’s sister. My godmother, Dezbe, chose Dionne as my middle name. The only person ever to call me Marie was my gym teacher, Ms. Perry. That fact helped me to recognize her name when—what seemed like a hundred years later—she sent a note to me backstage at a performance in Florida. It was addressed to Marie. I was not only able to know that she was there, I announced her presence to the audience and told them that she calls me Marie and why. She looked exactly the same as I had remembered: she had the greatest haircut; it’s called an Italian bob, and she still wears her silver-gray hair the exact same way, short and always neat. I was lucky to have good teachers and two wonderful parents who were brought up in God-fearing families and who raised their children in a similar fashion. I had what was considered a normal childhood at that time, in a neighborhood full of families much like mine, with a mother and father who gave us love and discipline in major proportions. My father’s father was a minister—he was also one of the wisest men ever to walk this earth, second only to Jesus, in my mind. Attending church was an important part of life for my mother’s side of the family as well. That part of my family was full of gospel singers. Spending the entire day in church every Sunday was not exactly what we children ever wanted to do, but that’s what happened. Our folks wouldn’t have it any other way. My mother was a five-foot-four-inch bundle of energy, stylish, and, although soft-spoken, could put the fear of God in you with just a look. She worked at an electrical plant called Tung-Sol in Newark, New Jersey. She made filaments for lightbulbs, and I don’t think she ever missed a day of work. I believe this taught us the worth of responsibility and the importance of earning your way through life. This was especially significant given there were not many role models for women who aspired to careers and work of their own at that time. The word I most associate with my mother is class. This captures the image of her that Dee Dee and I both kept of her and followed. Mommy expressed the importance of being a “lady” at all times in the ways we dressed, walked, spoke, and presented ourselves to the world. I sure hope that I have maintained the legacy she gave us. My daddy stood a full foot taller than my mom did. He was six foot four, lean, and gorgeous. He worked for the railroad as a Pullman porter, one of the best jobs available to African American men in his time. His legacy for us included an entrepreneurial spirit and vocal ability as well. He had a wonderful voice. When he retired from the railroad, he decided to become a certified public accountant. He took a correspondence course that earned him certification. As a consequence, he became my personal accountant. He also had a career after retirement as a butcher, a candy store owner, and, finally, a gospel record promoter for Hob Records. He also wrote a book, The Progress of Gospel Music, published by Vantage Press in 1977, and was on the road with me for a while as my road manager. So my daddy gave me that “get up and go” spirit. I was also a real daddy’s girl. We lived at 46 Sterling Street in a large two-family house. We rented the first floor of our house to the Stewards, who were much like an extended part of our family. Frank and Henrine were parents like mine, who lovingly raised George, Frank Jr., Gwendolyn, and Bobby. We did practically everything together: went to the same schools, shared birthday celebrations and arguments. Gwen and I took piano lessons together every Wednesday after school from Mrs. Giggetts, the organist at my grandfather’s church, and we became quite good. Gwen and I even performed at piano recitals that made Mrs. Giggetts, our parents, and our neighbors proud. Gwen was older than I was; however, she was my best friend. After my brother, Pookie, was born, we moved right next door, to 44 Sterling. Our new home was a bit larger, with five bedrooms, three bathrooms, a living room, a dining room, and a bigger kitchen. Dee Dee and I had our own bedrooms, so we had privacy—as if we needed it. The only other differences were that we now had a large porch area and a large lawn in front of the house. We also had a German shepherd named Sonny Boy. Our lives there were full of happy, fun-filled times. Because I could hit a baseball, catch a football, play basketball, shoot marbles, and play street hockey as well as most of the boys on Sterling Street, I was considered a tomboy, but I was also very prissy. I loved wearing frilly dresses, jumping rope, having my hair curled, and playing with makeup like any other little girl. I had the best of both worlds rolled into one little body. Our neighborhood resembled the United Nations. Every race, color, creed, and religion lived on our block. Every parent knew one another, and the friendships I made then are still a very important part of my life. We walked to school together and had sleepovers at each other’s homes. We played all kinds of games, including jacks and double Dutch jump rope. Some were games of skill and others were educational, such as Scrabble, spelling bees, and our version of what is now known as Jeopardy! We all went to a park called “the Oval,” where baseball, tennis, track meets, and other sporting events were held and taught by caring adults. One of the most important things our family did was to sit down together for dinner. We had wonderful conversations at the dinner table about a variety of topics, including show business. As I look back, I had a wonderful family life that got even better when my aunt Cissy came to live with us after my grandfather (my mother’s father) passed. Though Cissy, whose real first name is Emily, is my mother’s younger sister, she is only seven years older than I am. So while she was technically our aunt, she became like our big sister and lived with us until she got married. Aunt Cissy would later give birth to a little girl who would become one of the great voices of our time, my cousin Whitney Houston. My mom and her sisters, Cissy, Marie (“Rebie”), and Annie, and her brothers, Nick and Larry, all had great voices and at the time performed as the Drinkard Jubilairs. They would later become the Drinkard Singers. They held rehearsals in our living room, and since they could be heard up and down Sterling Street, the entire neighborhood got to share these wonderful times—and their singing. The Drinkard Singers were a fabulous family gospel group, and Mommy was one of its founding members. They made quite a name for themselves and were part of the cavalcade of gospel groups that regularly toured the country. My maternal grandfather, Nitch Drinkard, was one of the keys to the group’s success. He considered gospel singing a ministry and the Drinkard Singers a way to spread the message of Jesus Christ to the masses. They had begun singing down in Savannah, Georgia, where they lived in the late 1930s. The family, like so many other African Americans, eventually moved north. Cissy joined them when she was just a young thing, probably around five or six years old. Mommy became the group’s manager, in addition to her work at Tung-Sol. Every now and then, I would sing with them. In 1951 they were one of the first groups to accompany the great Mahalia Jackson at a groundbreaking concert at Carnegie Hall, and in 1957 they, along with Mahalia and a few other gospel groups, including Clara Ward and the Ward Singers, performed at George Wein’s Newport Jazz Festival. That was the first time the festival featured gospel music. The performance was recorded and became a live album, The Drinkard Singers and the Back Home Choir at Newport. The Drinkard Singers were so successful at Newport that RCA Records signed them, making them the first gospel group signed by the label. A Joyful Noise was their first studio album, released in 1958. Our family practically expected that Dee Dee, Pookie, and I would follow in their footsteps. And that almost became a reality. Both Dee Dee and I enjoyed professional singing careers, but my brother, as it is said, “couldn’t hold a tune in a paper bag.” No, Pookie could not sing, nor did he want to. He had other things on his mind. He became an excellent baseball player, scouted by former Brooklyn Dodger Big Don “Newk” Newcombe, one of the first African American pitchers in the major leagues and a friend of my father. Pookie pleased my parents otherwise by becoming the first to marry and present them with their first grandchild, Barrance D. Warrick. Barry grew up to be quite a sound engineer. He started doing my sound in live performances and then on the road with Burt Bacharach, subsequently doing sound for various TV shows including American Idol, Jimmy Kimmel Live!, the Grammy Awards, and Late Night with Conan O’Brien. I know that his dad, who made his transition following an automobile accident in 1968, would be busting buttons with pride just as his mother, fortunately, continues to do. The encouragement my parents, grandparents, and all in our church gave me that first time I sang before an audience gave me the formula that I have used to support and push my own family. I have raised them to believe that their dreams can become a reality. I say to them what my grandfather said to me: “If you can think it, you can do it.” I try to practice it in my daily life even today. When I was growing up in the late 1940s and early 1950s, African American youngsters didn’t have a whole lot of options when it came to jobs and formal education. In those days, it was a huge achievement for any family, especially an African American family, to send a son or daughter off to college. Back in East Orange, we learned that if you worked hard in school, you could achieve your goals and make your dreams come true. Our intelligence and ambition were encouraged by our family and community. Consequently, many of us went on to college. And when we graduated, we were doctors, lawyers, teachers, scientists, government employees, professors, actors and actresses, and entertainers. My education started at the Lincoln Grammar School, now renamed the Dionne Warwick Institute of Economics and Entrepre-neurship; continued at the Vernon L. Davey Junior High School, now the Cecily Tyson Performing Arts School; and at the East Orange High School, all in East Orange. I went on to the Hartt College of Music in West Hartford, Connecticut, where I earned my bachelor’s degree in music education and later returned for my master’s degree in music. During my early school years, I was inspired by many of my teachers. One who remains vividly in my mind is my third-grade teacher, Mrs. Daniels, because she made me understand the meaning of the word can. In class one day, I repeatedly said, “I can’t do this.” As a consequence, she asked me to come to the front of the class and had me write a word on the blackboard. She asked me to write the word American in this manner: “AMER—I—CAN.” She asked me what the word was, and I answered, and then she asked me to pronounce the word as it was written. I did. And then she asked if I saw an apostrophe or a t anywhere in what I had written. Of course I answered no, and it became clear to me the I-CAN part of the word was what she wanted me to understand. The word can’t to this very day does not exist in any part of my vocabulary, and I have passed this on to my children and grandchildren. And they all understand that “I can” is the phrase they should live by. And now I am passing that on to you. A multitude of friends and family made growing up pretty easy for me. In fact, the first rough spot I recall hitting was when I developed a crush on a guy named Virgil. First of all, Virgil was considered an older young man—all of eighteen. I was fourteen at the time. The reaction of my friends and my parents meant that I had to be content to “moon” over Virgil from afar. He never knew any different. I was seventeen when I had my first real boyfriend, Jackie Martin, with whom I became engaged while he was in the service. I just knew he was my true love; that is, until I met Bill Elliott. During my high school years, I was a candy striper, a member of the gospel chorus and the glee club, and had the distinguished pleasure of being chosen to sing in the prestigious New Jersey All-State Choir, a group that anyone who thought they could hold a tune wanted to join. Auditions were competitive and the elimination process grueling. All this made receiving that letter of acceptance all the more joyous for my family and me. The choir performed a concert in Atlantic City. We were seniors in high school staying in a hotel on our own for the first time. We shared rooms, of course, and were supervised—but we felt like adults. The experience, including the concert, was glorious and will always be one of the highlights of my life. SINGING WASN’T the only vision I had for my future. Remembering what Grandpa had said to me, I wanted to be many things. I aspired to be a ballerina. I loved their dignity and grace, some of which I try to convey in my stage show. I thought of being a court stenographer—I was always curious and perhaps a little nosy as a child. The thought of being a teacher became the most interesting to me, and I still feel I can share with others some of what I have learned. But it was the pursuit of a music career that propelled my sister, Dee Dee, and me to start our own gospel group, the Gospelaires, in 1957. And that’s when things started to take off. We were still in high school, but we could sing our little hearts out. Besides Dee Dee and me, there were Myrna Utley, her brother John, Carol Slade, and Sylvia Shemwell. We were all members of the New Hope Baptist Church and the C. H. Walters Choir. Reverend C. H. Walters was pastor of New Hope. Myrna and Sylvia became members of the Sweet Inspirations along with Estelle Brown and my aunt Cissy, who founded the group. They went on to be very successful. Singing at church functions and gospel caravans, we began to make a name for ourselves throughout the state of New Jersey and other parts of the eastern seaboard. Our efforts were promoted by our church members, friends, and, of course, the Drinkard Singers. We Gospelaires felt that we were carrying on the legacy given to us by the Drinkard Singers to spread the word of our Heavenly Father through song. We ultimately felt strong enough to compete at the world-renowned Apollo Theater in Harlem, New York, during one of its gospel shows, in which the Drinkards were appearing with other renowned gospel singers. The amateur talent contests at the theater have always been legend. The audiences have long enjoyed a reputation for being tough, smart, and unafraid to let you know how they really feel about your performance. The amateur night is a Wednesday-night tradition that started way back in 1934, and Ella Fitzgerald, who happens to be the godmother of my youngest son, Damon, was among the first winners. One group appearing on that night’s show was the Imperials. A wonderful group out of Philadelphia, the Imperials had a recording called “To Those That Wait,” which had become a favorite of our group. So we decided we would perform that song. We had the nerve to sing it while the Imperials stood in the wings listening to us. And guess what? We won the amateur hour. The Imperials were happy for us and told us we did a wonderful job. That Wednesday evening was also the start of the Gospelaires’ entry into the world of background singing in the recording studios of New York. A young man approached all the groups performing on this particular show and asked if they could do a background session at Savoy Records in Newark. So I spoke up and told the man that my group would do it. He said okay and asked us to meet him at the Savoy Records studios, where we did a session with Sam “the Man” Taylor, a big-toned saxophone player, and Nappy Brown, a popular R&B and blues singer. As a result of that first date, the Gospelaires fast became the female voices of choice for background work in New York. We worked behind some of the biggest recording artists of that time: the Shirelles, Ray Charles, Dinah Washington, Ben E. King, Chuck Jackson, the Exciters, Tommy Hunt, Solomon Burke, and the Drifters, just to name a few. So at age seventeen, while in my senior year preparing to graduate from East Orange High School, my career had begun. But all the studio work had to be scheduled for the weekends. Our parents were not going to allow anything to interfere with our schoolwork. On weekends, we hopped on the 118 bus that took us from Newark to the Port Authority Bus Terminal near Times Square in New York City. From there, we’d catch the subway to where the recording studios were located. We worked quickly and diligently to get our parts down on the first take, if possible, so we could rush back home to East Orange. Eventually, graduation day came, and my entire summer was spent doing more studio work. I could certainly use the money, since I was entering the Hartt College of Music that September. I had a partial scholarship from my church, but the money I earned doing background sessions during the summer was a huge help in paying for tuition, books, rent, and food. I arranged my classes so that I could do studio work in New York Thursdays through Saturdays, and then be back in Hartford by Sunday to resume classes on Monday. I became known as the “demo queen,” and a young man named Jimmy Breedlove was known as the “demo king.” Songwriters used demos, or demonstration recordings, to showcase their song for record executives. Back then, a demo was the key to whether a writer’s song was chosen for release. I did demos for many songwriters and music publishers, particularly those who were in the Brill Building in Manhattan. I also remember spending hours at another building, on Seventh Avenue and Forty-seventh Street, where a recording studio called Associated was located. I would record one demo after another after another. This was an exciting time in my life. • Establish a strong spiritual foundation. This will help sustain you through life’s peaks and valleys. • It’s never too late to pursue a passion. Do what makes you happy. • Encourage children to follow their dreams. Let them reach for the stars, and let them know you’ll be there no matter what. • Create a support mechanism. Family is extremely important. 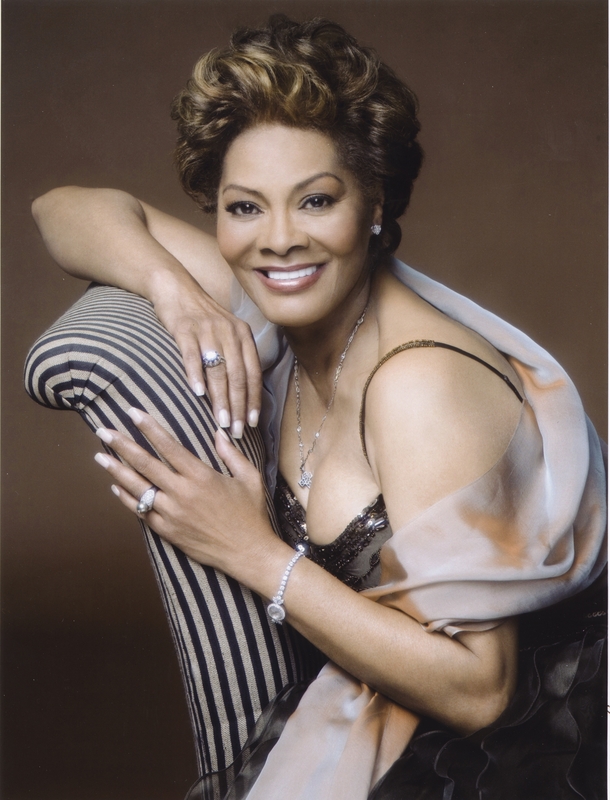 Dionne Warwick was born in East Orange, New Jersey, in 1940. Her reputation as hit maker has been firmly etched into the public consciousness, thanks to nearly sixty charted hits, many of which have become pop music classics. As a performer and five-time Grammy Award winner, Dionne has charmed and entertained audiences worldwide.